Stopped by to price some storage units and Mo and Miranda were super nice and friendly. They property was very clean and well kept. You can tell they take pride in their jobs. I absolutely love this place. I have my RV stored here and the people here are so friendly. I go and check every once in a while on the RV and have NEVER had any issues with rodents or pests. They keep the place immaculate. I also work at a school and they were kind enough to donate wipes to all our teachers during flu season. You saved us from the dreaded flu germs. Thank you so much. I highly recommend using this company for all your storage needs. I feel like my items are safe and kept clean there. Moe goes up and beyond for the best customer service. Moe and Maranda are awesome!! These two ladies have become like family in such a short amount of time. The comfort and the pleasant down to earth personalities are amazing. I totally recommend to always be your choice when you need to store a part of your life away! p.s. when I finally get my house, I may just have to keep a storage just so I can come by to visit! Friends for life. We looked at several storage places Locktite was the first one. Moe was very wonderful on our first visit. We went and looked at the other units at different places but decided even though the other places for cheaper we felt more comfortable with Moe. She helped us with every aspect of our moving I would refer her for anyone looking for a storage unit. She doesn't stop just want she went to unit she goes above and beyond the call of duty. You need more employees like her she's wonderful. This place is wonderful , staff is always friendly and here to help anytime its needed. Truly makes you feel welcome like family.The owner is amazing no matter the issue she is always very kind and understanding. The place is very convenient with great spaces to choose from and the costumer service provided by the attendants is the best. I Really recommend it. Very pleased with the Service i got eps. from the Manager Moe, she was helpful & quick! Couldn't ask for a better Storage place. Super friendly environment and they are super helpful as well I would recommend then to anyone!! 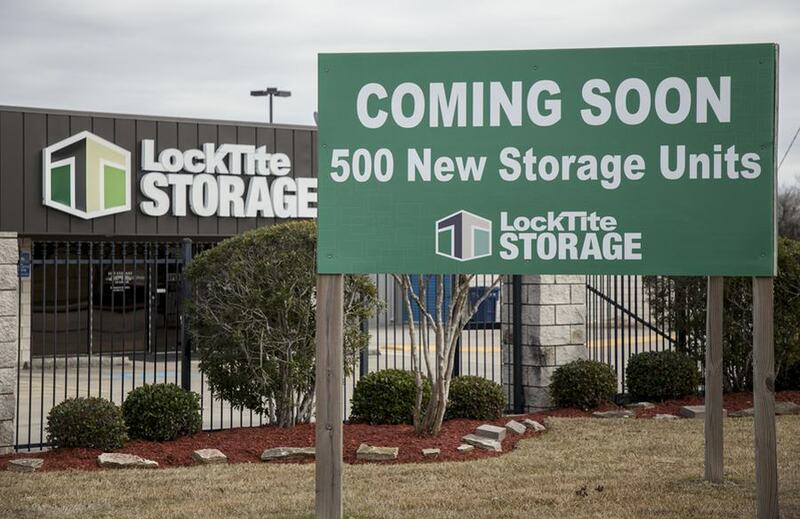 I already like locktite storage, but Moe at the La Porte location puts it over the top. She treats you with true hospitality and is always trying to take care of you. She works hard and is so genuine. Rent from her if you are getting storage! Love using LockTite! Moe at the front desk is very friendly and makes doing business very easy. She goes above and beyond and listens to everyones troubles. LaPorte Facility is always clean and smells good. Wouldn't park our boat anywhere else. Thanks LockTite!! Moe and Miranda at the La Porte location are absolutely the sweetest ladies Ive ever done business with. They are very personable and will go above and beyond customer service. The facility is very clean and well kept, making us feel very comfortable with parking our new RV there. Moe is seriously amazing! Shes always so helpful and courteous! Shes the bomb! Ive stored stuff here for years and havent had any problems! Moe is amazing! Shes very polite and helpful! Love this place! Normally better pricing. Climate, humidity and pest controlled to make sure your belongings stay in perfect condition. The staff is so helpful in making sure your move in AND move out are smooth. Moe at laporte location is absolutely awesome! We have been with her at this location for several years and would not go anywhere else . Her customer service is exceptional , above the rest! Thank you Moe for always assisting us with a smile!!! Moe absolutely Rocks! She has the best personality! I told her I was going to tell my other family members to come see her directly! Moe knows the LaPorte/ Deer Park area so well, and just know she knows her stuff on her storage units Very experienced! I have used this storage for many years now and I can honestly tell you that I wouldn't use any other storage in town. Mo is absolutely the sweetest manager I have dealt with thru the years. She does whatever she can to help and give me the best rates possible. She has gone out of her way at times to help in the months I run behind on my rent. I couldn't be happier. La Porte, Texas is located south of the Houston Ship Channel and is home to one of the oldest small Texas towns in the eastern territory of Harris County. Only 35 minutes from downtown Houston, La Porte offers its community residents a reprieve from the hustle and bustle of fast-paced city life in exchange for panoramic bay views and a small-town ambiance. The city of La Porte is full of Texas history. It proudly boasts the San Jacinto Monument and is home to the historical Battle Ground for Texas’ Independence. La Porte, Texas is nestled upon the Houston ship channel, one of the busiest seaports in the nation. The area is widely used by area petroleum, chemical plants and refineries carrying goods through the gulf. La Porte was founded by two brothers from Denver who originally wanted to use the land for citrus orchards but quickly realized the climate wasn't fit for it. As La Porte grew, it became famous as the home to Sylvan Beach Park and drew resort-goers through the 40's. When NASA came to South Houston, La Porte became a bedroom community for the aeronautical industry. To this day, it is fun to take a run along the boardwalk at Sylvan Beach Park, where you will find the longest fishing pier in Texas stretching 1,100’ from the beach. Two of the best restaurants in La Porte are located right next to our LockTite Storage facility on Underwood. Southern Komfort Kitchen, is just up the way from our La Porte facility, offers made-from-scratch southern home cooking. Gringo's Mexican Kitchen has excellent Tex-Mex food just two doors down from our facility. We can also recommend Monument Inn, The Lunchbox, Brewingz, Colonial House Of Sandwiches, Baytown Seafood, and Port Cafe. You can check out Mainly Drinks for an afternoon cocktail. 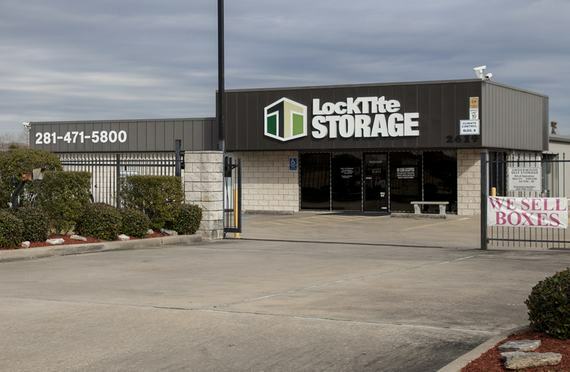 Walmart, HEB and many retail choices along Spencer Highway are near LockTite Storage, so you gain convenience since our location is in the midst many shopping choices. La Porte has a lot of quirky and fun vintage and antique shopping options, mostly along the main street. Our shops and boutiques include Shop Therapy Resale, Junk Junkies, Upscale Resale, Vintage House, Treasures Unlimited, Vintage Cameras, L&B Antiques, Mike's Antique Station, Roelof's Antiques & Refurbishing, Walkers Rarities, Vicki's Antiques On Main. We also have a quilting shop called Quilts and Stuff/LadyBug Creations as well as the Main Street Embroidery Shop. La Porte ISD serves the area residents with over 12 campuses for grades K-12. La Porte has seven elementary schools, one 6th grade campus, two junior high schools and two high schools. Many La Porte residents take advantage of the Forest Bay Golf Course and the Sylvan Beach Park! Build sandcastles, play with your kids, and enjoy the Texas Gulf sun along La Porte's sandy beaches. LockTite Storage distinguishes its facilities through excellent customer service. Giving customers what they need and want has been our business model since our company’s beginning, and has resulted in a local reputation in La Porte, Deer Park, Pasadena, Morgan’s Point and Shoreacres for providing leading storage solutions. Read our reviews and learn why customers leave other nearby storage facilities to store with us and return whenever they need storage again. With a go-the-extra-mile business philosophy, LockTite Storage provides free rental usage of our moving equipment--including a truck and trailer--for customers moving their items in or out of our facilities. Stop by our office for free snacks and beverages. We offer all types of units from as small as 5x5 up to as large as 10x30, in traditional and climate-controlled units. Plus we offer vehicle storage options: open parking in 30', 40' and 45' depths and 12x30 and 12x40 covered spaces. 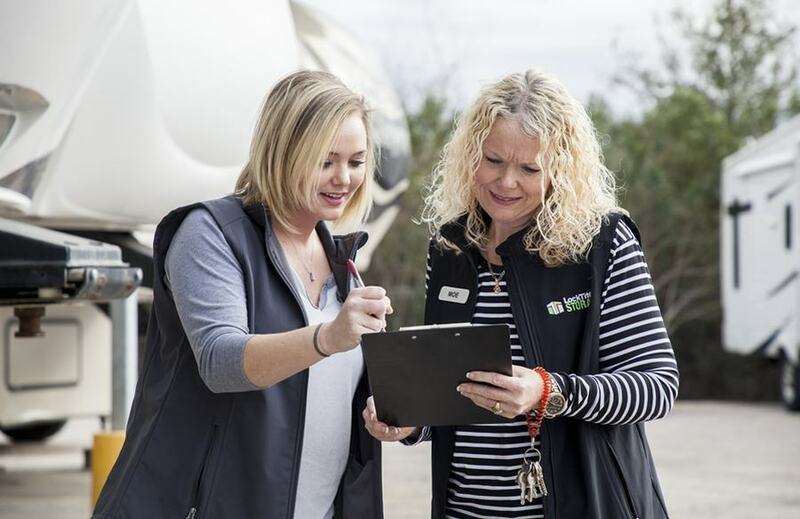 We treat our customers as people, not unit numbers. 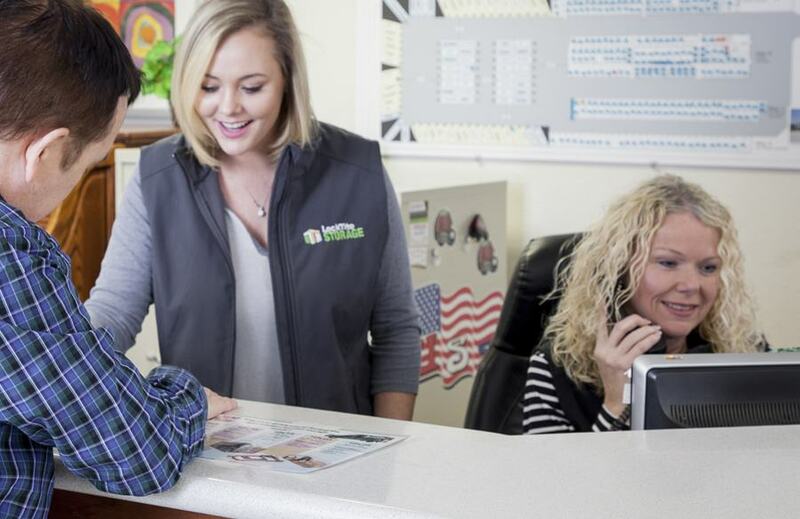 In practice, that means LockTite Storage prioritizes cleanliness, security features, and competitive rates at all of our offices so that deciding where to store your residential items or business belongings becomes a no-brainer. We offer our customers FREE use of our moving truck and trailers. The La Porte LockTite Storage location has a 14' box truck with a dolly and pull-out ramp. We welcome you to use these tools whether you're moving in or out. It's just another way we like to save our customers time and money.